PayPal recently announced that it will no longer be supporting domestic transactions in Taiwan after Sept. 21 in order to comply with the newly implemented local laws and regulations. An American company providing online peer-to-peer payments since 1999, PayPal performs payment processing functions for online merchants, auction pages, and a variety of commercial uses worldwide in exchange for a minimal processing fee. Its exit from the Taiwanese market is a nightmare for merchants and individuals who heavily rely on PayPal’s system. This will force long-time users to search for another payment method. Fortunately, Bitcoin is right in front of everyone’s doorstep, offering to provide them with a viable solution for the payment requirements. This incident serves as an opportunity for the cryptocurrency to gain popularity in Taiwan and be recognized as a replacement for PayPal. With the majority of the country’s population unfamiliar with Bitcoin, now is the perfect time to witness the financial and technological advantages of transacting with it. 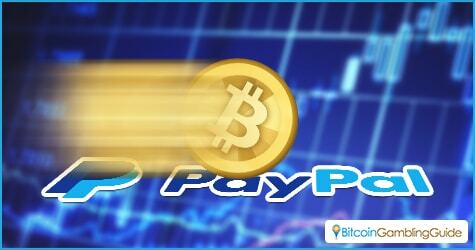 With PayPal out of the picture, former users of the payment processor can easily switch to using Bitcoin and sending and receiving funds through the anonymous and transparent blockchain network. Payments to online merchants and local establishments like restaurants and lifestyle shops will now be quick and cheaper as compared to using credit cards via PayPal. The inevitable Bitcoin influence in Taiwan should serve as an example why digital currency should see growth in Asia. Adoption of the virtual currency is slowly moving in the continent, mainly due to the factors that limit its full potential. The lack of regulations imposed causes a stir, which makes prospective users and investors more cautious before engaging into any transactions using Bitcoin. Consistent value fluctuation is one of the deal-breakers for some—a misconception that is—as there are ways to take advantage of this trait. Take Bitcoin binary options trading for example. Employing Bitcoin as an asset allows traders to place investments in its market movements, allowing for profit-making chances. Taking advantage of the different binary trading products like the 60 second Bitcoin binary trading may result in larger profits should the majority of the bought contracts expire in the money. Likewise, betting on Bitcoin casino games, while not focused on growing investments but more on the entertainment aspect, exemplifies how the Asian markets may benefit from tapping the opportunities provided by the success of the Bitcoin gambling industry in the region. Furthermore, there are other ways to unfold the benefits that come with the technology in a way where it will not drive away customers, but rather draw them in. 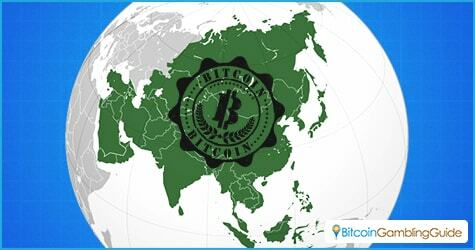 Educating all potential users of the edge of the digital currency over fiat payment is also a key to tap into Asia’s adoption of the practice. Essential details like lower transaction costs, anonymity, and security should be highlighted to entice additional audience. It took other systems a while to gain momentum in the payment system market. Some had to face a decade of drought before it was made a primary mode of transfer. Bitcoin may be climbing up a ladder at a slow pace, but with circumstances starting to take place like PayPal pulling out of domestic payments, only time will tell before the cryptocurrency hits the top of the market. On another note, the fact that PayPal and Bitcoin have started working together implies the former’s recognition of the qualities and potential of Bitcoin to become a stable and prominent payment method on a global scale.